Stephanie Syson, manager at the Central Rocky Mountain Permaculture Institute, holds a map of the planned food forest in Basalt, Colo.'s Ponderosa Park. Imagine turning a public park into a free-for-all of community plants – and snacks. Food forests have been likened to Garden of Eden revelry, or the blissful sampling in Willy Wonka’s chocolate waterfall room. KUNC and Harvest Public Media's Luke Runyon reports on Basalt's food forestry ambitions. It’s like a community garden on steroids. The concept is pretty simple: planners recreate a forest ecosystem with edible plants and trees in a public space. Then, in a deviation from most community garden models, they open it up and allow people to forage for food for free. “It is a forest. It is a park. But it’s all edible, so the whole community can come in and sit under the apple tree and eat from the apple tree,” said Stephanie Syson, manager at the Central Rocky Mountain Permaculture Institute. 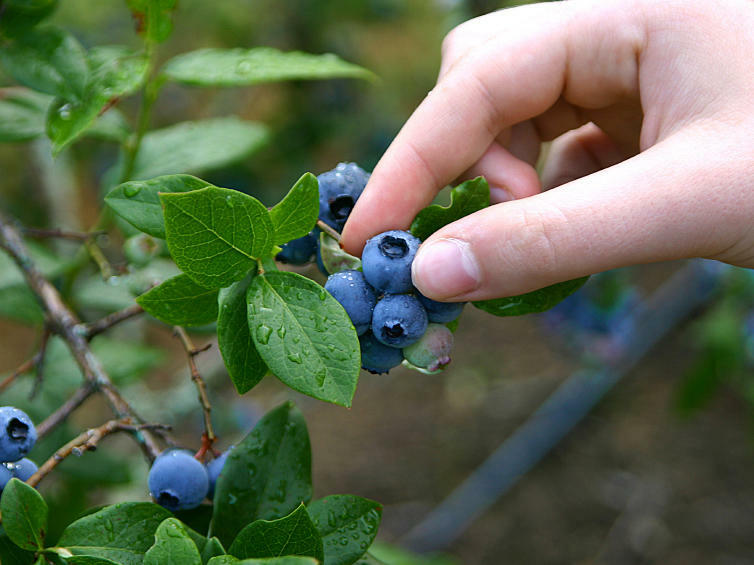 There are only a few food forests already up and running in the country, with the highest profile projects in Seattle, Wash. and Western Massachusetts. 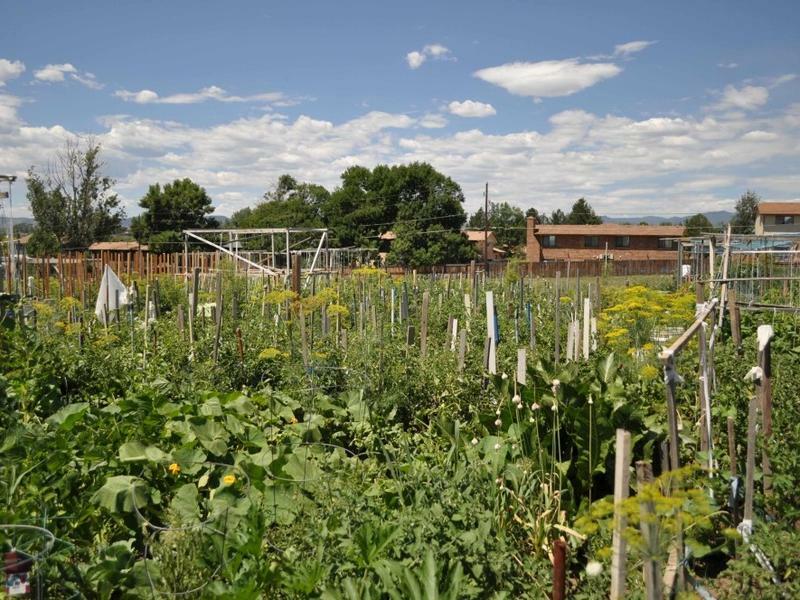 Planners of a new food forest in the tiny mountain town of Basalt, Colo., hope to join their ranks soon enough. As with any public project, it has hit a snag. Some residents don’t want the park surrounded by a fence, a necessary measure to keep hungry deer and wandering bears from gobbling up all the fruits and vegetables, and causing trouble in town in the process. Officials hope to have approval soon. In the meantime, they are experimenting with the concept now, trying to figure out how to make a publicly-owned food project work. Basalt’s food forest is the brainchild of Syson, a plant expert at CRMPI, and the town’s Parks Department staff. Both groups will pay for and maintain the forest, at least until it’s up and running and volunteers start lining up for shifts. Planted on a half-acre plot on the town’s Ponderosa Park, the forest will mimic a forest ecosystem, with fruit and nut trees, mushrooms, native edibles, a compost pile and a seed-saving garden, meant to stock the public library’s seed lending program. Basalt serves as a small bedroom community for the affluent ski resort in nearby Aspen. The town’s horticulturalist Lisa DiNardo says she hopes the food forest can serve as common ground within the community. That robust network plays into the food forest’s location, within walking distance to the town’s elementary, middle and high schools, and across the street from a predominantly Latino trailer park community. DiNardo says up in the mountains, food security is a huge issue, and that has people thinking about what they eat. A couple of years ago, a blizzard, and subsequent avalanches, cut off road travel. Produce trucks couldn’t make it into the isolated mountain towns in this small valley of less than 50,000 residents. Once fruit trees begin bearing apples, plums, nectarines and lemons, Syson hopes town residents will take the Garden of Eden mindset on a walk home from the nearby bus stop and pick what they need, leaving some for their neighbors. Compare that to a community garden which gives growers the mindset of personal ownership. Another benefit is the ability to save seeds from native plants and regrow them. Several years from now, tomatoes, potatoes and carrots will be regionally adapted to Basalt’s short growing season and alkaline soil, Syson said. The forest represents a shift in the way towns and cities think about their public spaces, not just in Basalt but across the country. But it’s still an experiment. “Trees take a long a time to establish and get both looking nice and producing food,” said Dawn Thilmany, an agricultural economist at Colorado State University who studies local food systems. “I think that’s why they’re taking a different tact and not having individual owners, but seeing it truly as a community asset to share, similar to a parks system or a trail system or streets and roads,” Thilmany said. Thilmany says she can’t help but be cynical about the idea of opening up the forest completely. What happens when someone picks all the apples at once? Or teens trample all the tomato plants? “I do think there will be some challenges from people who wonder, ‘How much of that fruit crop do I own?’” Thilmany said. The forest’s main proponent, Stephanie Syson, says she’s not worried about the park being overrun by ambitious harvesters. The park will be open 24-7, but Basalt is a small town, and people in small towns talk. Plus, Syson says, the trees won’t be bearing fruit for a couple of years. Plenty of time to educate scofflaws about how this food forest actually works. Editor's Note: This story has been updated to clarify the status of the Basalt Food Forest as near approval. If you're a regular reader of The Salt, you've probably noticed our interest in foraging. From San Francisco to Maryland, we've met wild food experts, nature guides and chefs passionate about picking foods growing in their backyards. You may think that the great historic debate between communism and private property is over. Well, it's not. Not at your local community garden. Take, for example, the experience of Campos Community Garden in Manhattan's East Village. Eight years ago, the garden was decrepit and abandoned. Beverly McClain walked by it all the time, on the way to her daughter's school. And one day, she and a motley group of fellow gardeners decided to revive it. One day about eight years ago, chef Dan Barber of the famed Blue Hill restaurant at Stone Barns in the Hudson River Valley got a FedEx package from someone he didn't know. 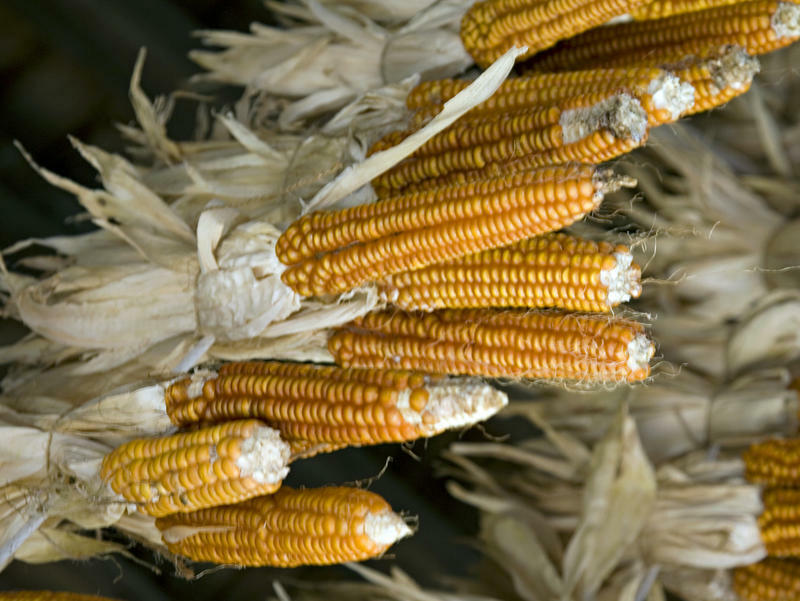 Inside were two ears of corn. And a letter. Is Millet The Next Trendy Grain? Heritage grains are trendy. Walk through a health food store and see packages of grains grown long before modern seed technology created hybrid varieties, grains eaten widely outside of the developed world: amaranth, sorghum, quinoa.